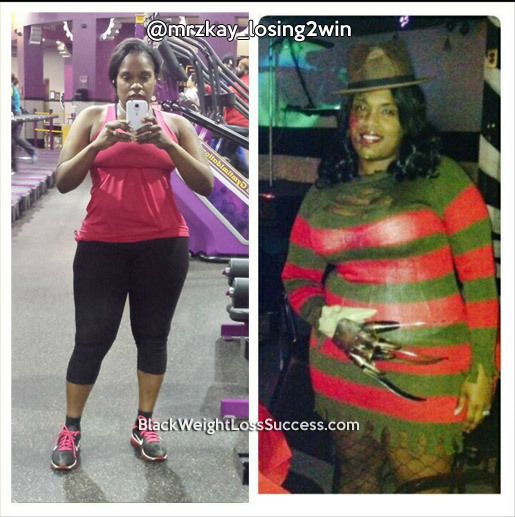 Hello, my name is Kisha and I want to share my weight loss success story. Hopefully, it will inspire others who are battling with weight loss. I was dealing with a lot of health issues, including really bad asthma. Getting healthy was my goal, because I was scared of dying and leaving my children without a mother. I knew that I had to make a very serious lifestyle change. 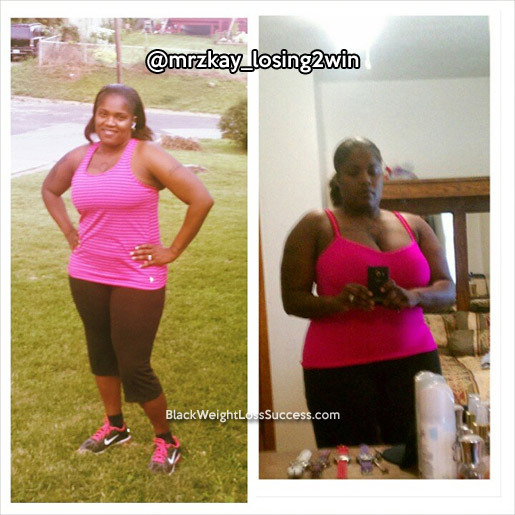 I started off on my journey on March 11, 2014 weighing 236 pounds. My current weight is 167 pounds and I’m still going strong. I’m 5’6″ tall. I’m very proud of my weight loss and I hope to motivate others. I lost the weight by having 2 smoothies, 2 snacks and a sensible dinner each day and by not going over 1200 calories a day. I also changed my eating habits by cutting out beef and pork completely. Today, I only eat small portions, never overeating, and I cut out candy and chips which were my downfall in the past. I work out 5 days a week. I do 2 days of walking for no less than a hour and on the other 3 days I weight train for a hour and do elliptical 30 minutes to an hour. My advice to others is to never give up. Start off with baby steps and work your way up. If you fall off track, pick yourself up and keep it moving. Also, find a workout buddy so that you have someone to keep you motivated. You look great! Very motivating.